Canada’s first ultra-low-cost carrier (ULCC), Swoop, will be headed by Steven Greenway. He joins Swoop with more than 20 years of airline, loyalty and advisory experience with an emphasis on low-cost carriers (LCC). Reporting to Gregg Saretsky, WestJet Group president and CEO, Greenway will have end-to-end accountability for all strategic aspects of Swoop, including short- and long-term planning, branding, pricing, product development and operationalization of the ULCC in 2018 and beyond. Bob Cummings, the WestJet executive in charge of Swoop’s launch, will move into the role of WestJet executive vice-president, strategy and guest services. 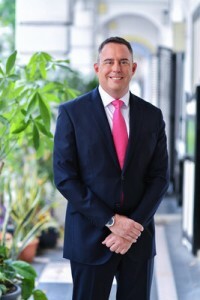 Greenway’s most recent roles were as CEO of reward-U, the pioneering LCC loyalty program of HK Express and as the board director of Zuji, one of Asia’s leading online travel agencies, where he was responsible for helping drive operational excellence, strategic planning and accelerating revenue growth for both organizations. He has also worked in a variety of executive and leadership roles at airlines including Japanese LCC Peach Aviation, Virgin Blue, Virgin Atlantic and Qantas. More recently, Greenway was a founding member and chief commercial officer for Scoot, Singapore Airlines’ mid-to-long-haul LCC. For more details on Swoop, its 2018 launch plans and employment opportunities, sign up at FlySwoop.com.